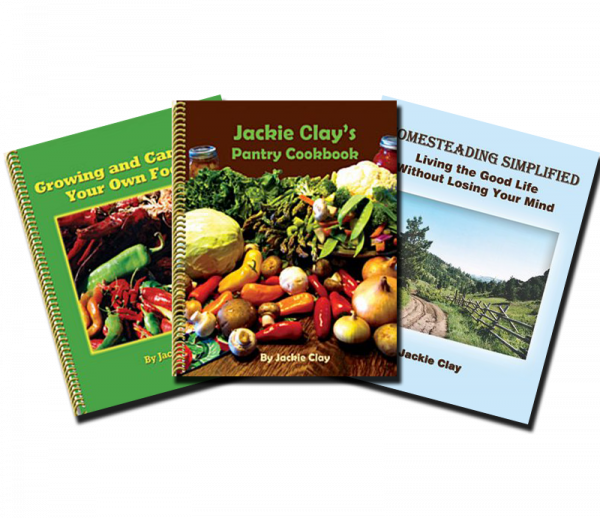 Save 42% when you buy all three big Jackie Clay books! 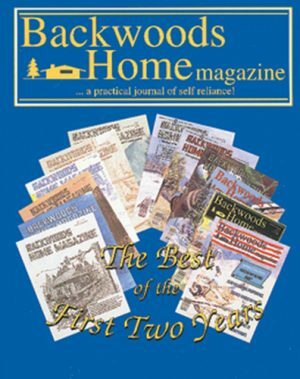 SKU: JCBB1 Category: Backwoods Home Books Brand: Backwoods Home Magazine. 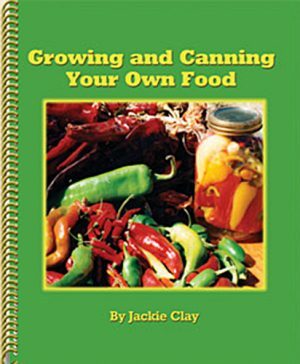 Jackie Clay-Atkinson’s much anticipated canning book is full of more tried and true canning recipes than you’ll know what to do with. 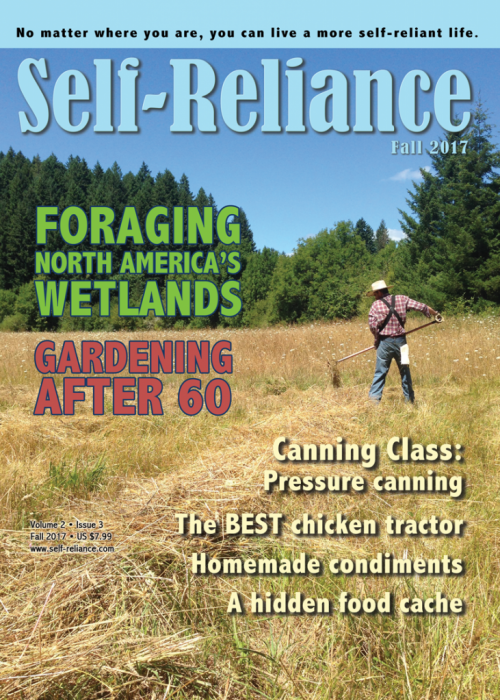 Jackie offers her treasure trove of advice for growing everything from blueberries and squash to raising poultry and meat. 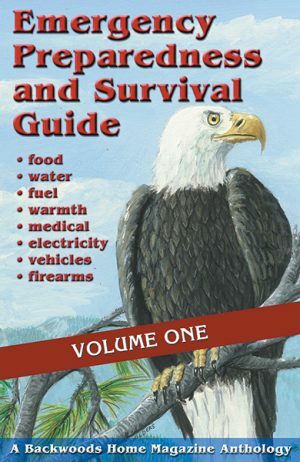 The book also includes step-by-step water bath and pressure canning directions and recipes for keeping your pantry stocked with the best-tasting food you’ll ever eat. 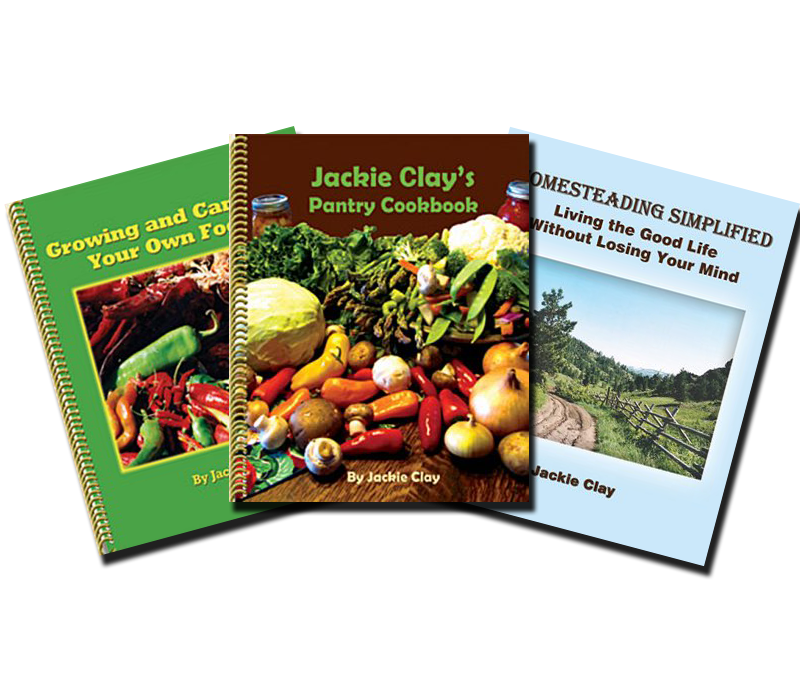 If you’ve read Jackie’s articles or her Ask Jackie column in the magazine, or spent any time on her blog, you know Jackie grows and produces most of her own food. In her first book, Growing and Canning Your Own Food, she showed how she cans, dehydrates, and freezes all kinds of foods (as well as shops sales at her local store) to stock her pantries in her home in Minnesota. 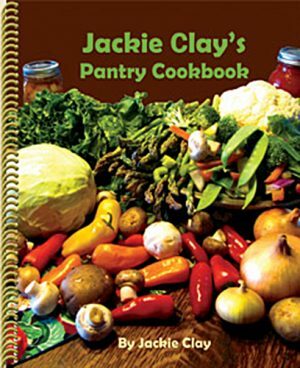 This book, Jackie Clay’s Pantry Cookbook, will help you learn where and how to set up a pantry, even if you don’t have the space, as well as what to stock in your pantry and the shelf-life of some of these items. 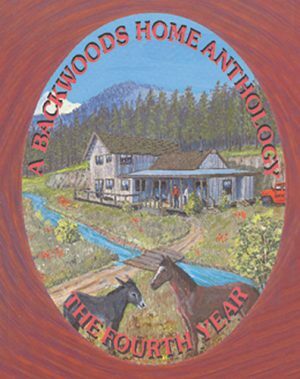 She includes many of her own recipes to help you create thrifty, tasty meals straight from your pantry. 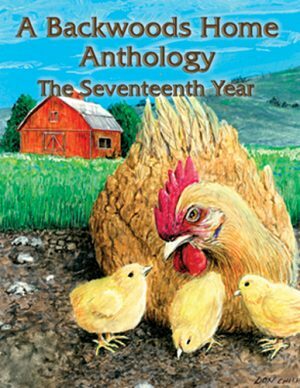 You’ll also enjoy bonus chapters on basic pantry mixes and miscellaneous handy recipes for dressings and sauces. 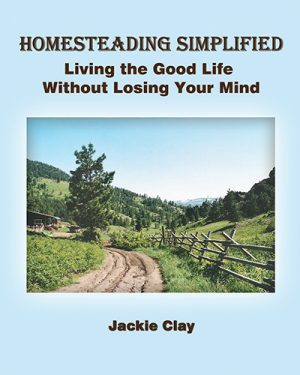 Whether you want to live in an urban setting, on a small acreage, or on a large acreage, this book will give you all the information you need to be a successful homesteader. 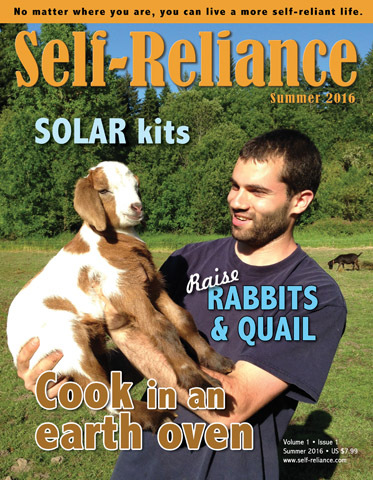 It includes information on buying property, gardening, growing fruit, livestock, fencing, tools & equipment, water systems, off-grid living, homestead pantries, shelters for animals, housing, and dealing with wild animals.